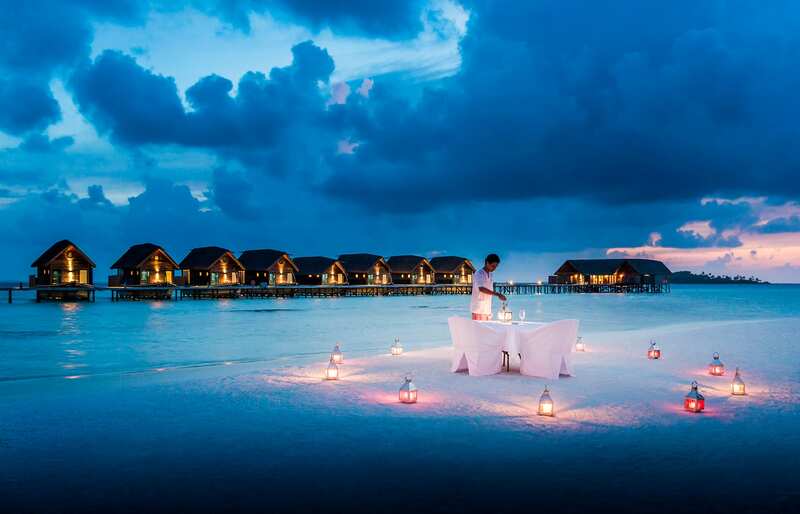 Cocoa Island in the Maldives serves a pure tropical island experience. 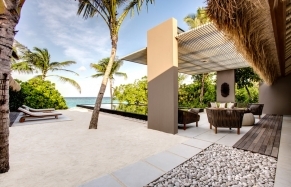 There is no shop or underwater spa, just simple but excellent food, beautifully designed villas and great diving and snorkelling. And a perfect beach. The slope of the beach is so gentle that it seems to have no end, and the calm waves appear to be just licking the white, powdery sand. Cocoa is basically just tens of meters of soft shallows that allow wading from one end of the atoll to another. Coral reefs are easily accessible and full of tropical life. Hundreds of fish of all colours and patterns, large turtles and small reef sharks (harmless to humans) can be all spotted here. One of the best dive sites in the world, Vadhoo Channel, is just a ten-minute ride by boat. 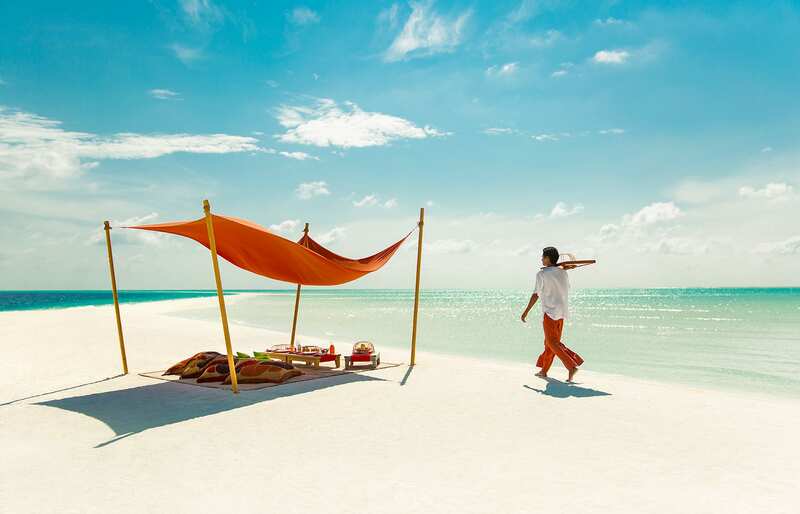 Inspired by a Dhoni, traditional Maldivian fishing boat, villas are an iconic idiosyncrasy of the hotel. They are built over water and connected to the island by a wooden bridge. 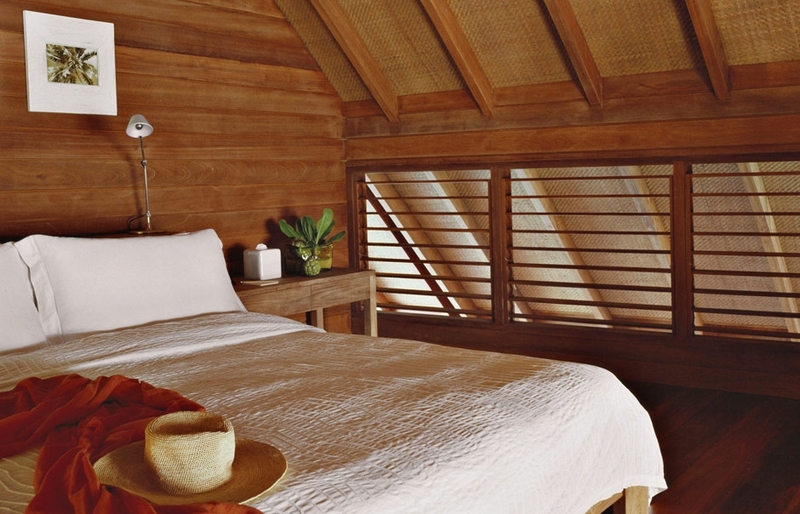 With thatched roofs, mahogany furniture, dark wood floors and windows from floor to ceiling, their style oscillates somewhere between refined elegance and a “house on the beach” simplicity. All houses are fitted with the sort of hi-tech you would expect from the top resort. Each room has a private terrace, providing an unobstructed view of the ocean, and some villas have a mezzanine bedroom area. Most of the actual surface of this tiny island is taken by an excellent spa, run under the aegis of COMO Shambhala. In addition to a wide range of massage and body treatments, the spa also invites for an evening yoga sessions. 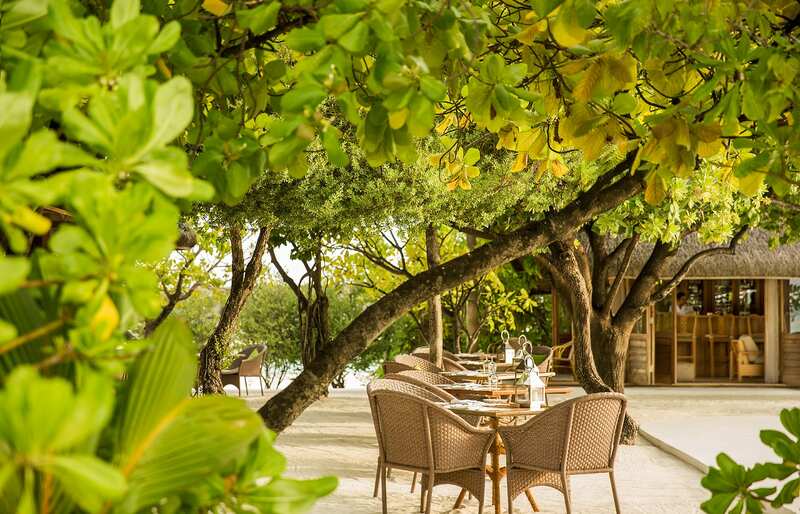 Next to the swimming pool, the only restaurant on the island serves an excellent cuisine of fresh produce from a healthy menu, labelled with the COMO Shambhala Spa brand. A classic pool bar, Faru, offers fruit cocktails, drinks and wine. 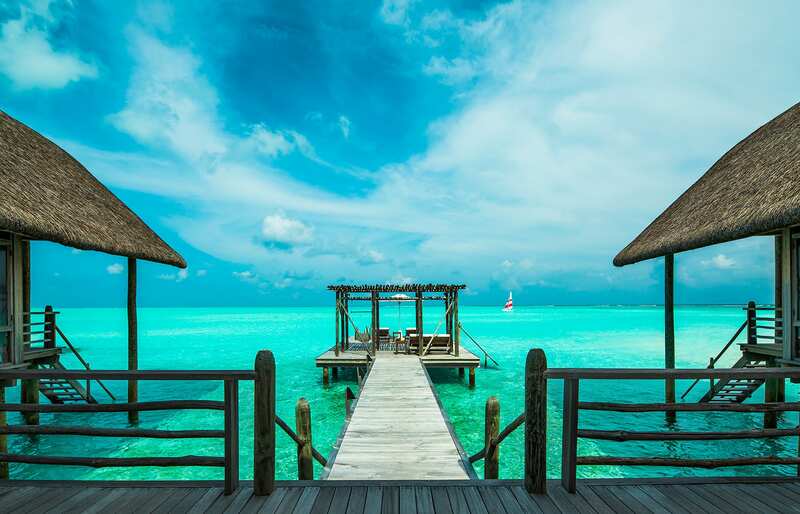 A world-class spa and excellent food, warm sand between your toes, sun and tropical fish in the turquoise ocean… there isn’t really much else we would want. Cocoa has an atmosphere of a tiny uninhabited island, where “worry” is not in the dictionary. All you need to remember is to pack the swimsuit… and maybe a couple of books. Service, so personal, you forget about other guests. 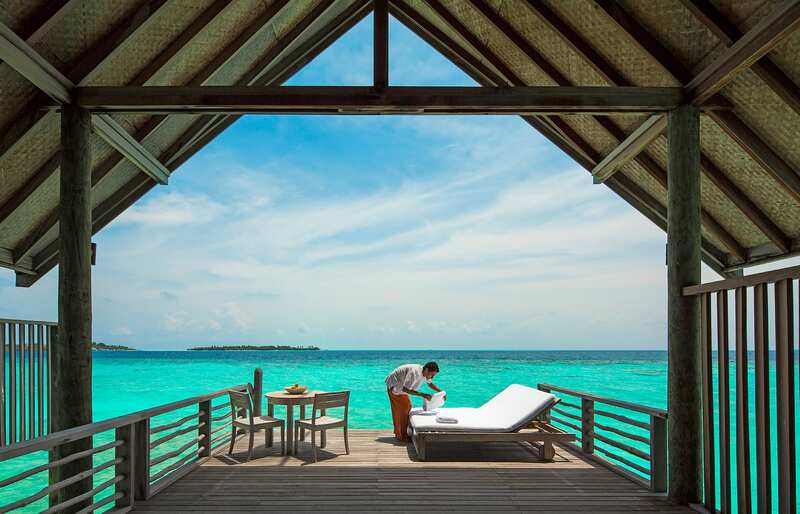 Dhoni Suites are set too close together and suffer from lack of privacy. Most guests will find their terraces quite small.